We started our food quest on Monday afternoon at Pompano Joe’s in Miramar Beach. Just a light lunch there: calamari with both marinara and tiki sauce for dipping, seafood gumbo, and Caesar salad. The gumbo was hot, hot, hot! Take a spoonful, bite into the saltine cracker, and gulp a swallow of ice water. That didn’t cool my mouth down much. My tongue still wanted to dial the fire department. Our waitress saw me waving my hand in front of my mouth to put out the flames. She brought us sour cream to add to the gumbo to tame it down a bit. That actually helped a lot. Monday night found us at Dynasty, our favorite Chinese restaurant. 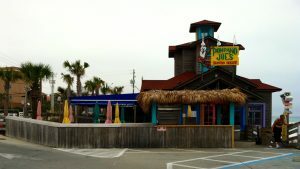 It’s family owned and run; the second generation took over recently and there was no change in food quality or service. 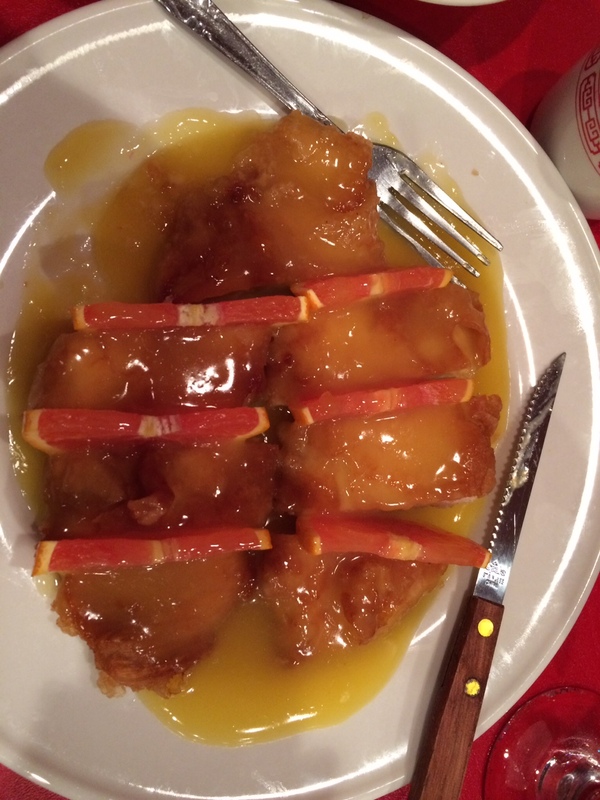 I had my favorite dish–orange chicken, one of the chef’s specialties. Yum! Mid-morning on Tuesday found us at Another Broken Egg Cafe for brunch. 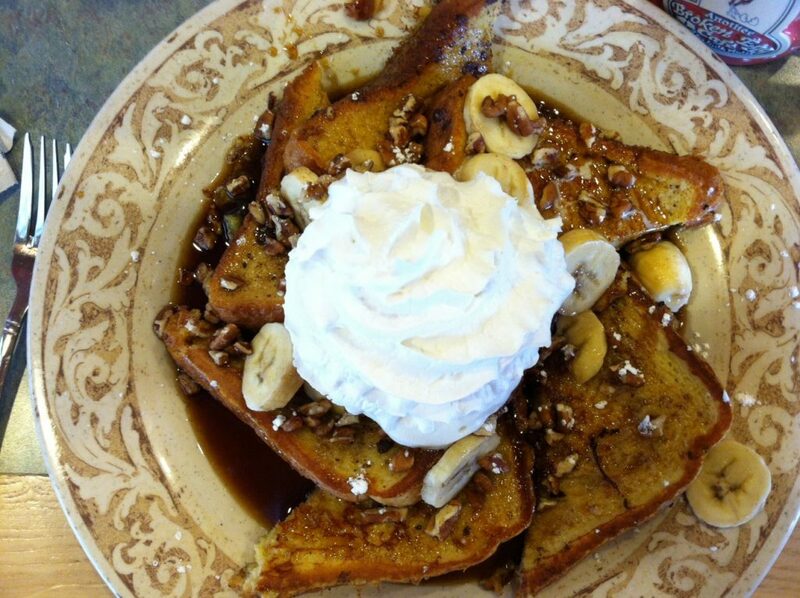 I was already close to drooling when I ordered my all-time favorite breakfast dish, French Toast Bananas Foster. ABEC uses sweet Hawaiian bread for its French toast and tops it with a dusting of confectioners sugar, chopped pecans, sliced bananas, bananas foster sauce, and whipped cream. It is to die for. I ate every last bite. I was very genteel, however, and did not lick the plate clean. We were so stuffed from brunch that we stopped in at Callahan’s just for a light snack Tuesday evening. Ha! Callahan’s doesn’t do light snacks. 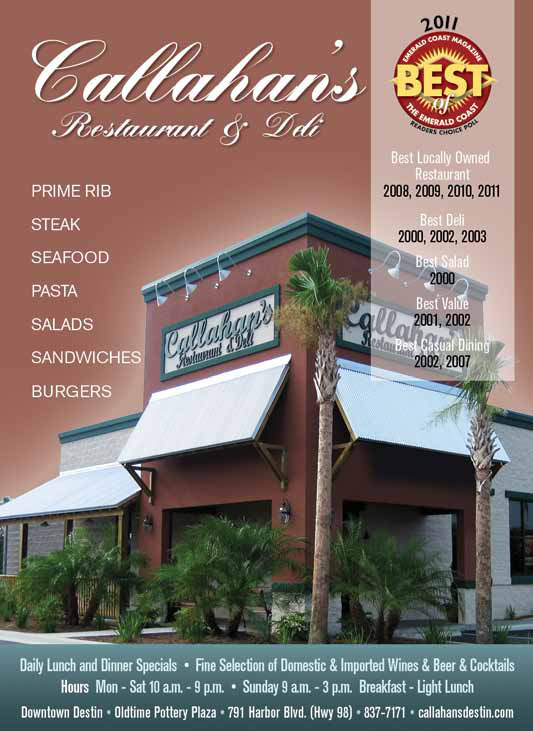 Callahan’s does overkill. My sausage, onions, and peppers hero, smothered with marinara and melted mozzarella, was enough to feed two but I ate it anyway, peeling off the top layer of bread. We were too full for dessert, so we took a hunk of Italian Cream Cake back to the hotel to munch on later. It’s still in the mini refrigerator in our hotel suite waiting for us to devour it. We began our drive south on Saturday, February 4th, which was my birthday, and didn’t celebrate it on the road. We already had social engagements with friends in Destin set up on Sunday, Monday, Tuesday, Thursday, and Friday. That left Wednesday night the 8th as our night out to celebrate my birthday at Tuscany Italian Bistro. Another couple joined us and we feasted first on the best calamari ever. Tender on the inside, and crispy on the outside, and tasty marinara to dip in. Delish. 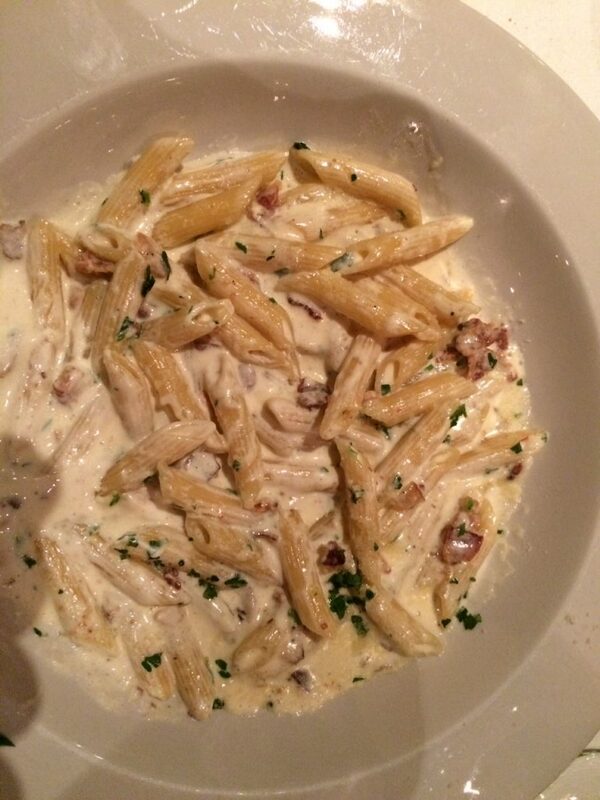 I ordered my favorite pasta dish, penne carbonara. Yum, yum, yum! While we were contemplating our dessert order, our waiter brought me a complementary “birthday tiramisu.” I blew out the candle and removed it before one of our friends suggested taking a photo of the birthday surprise. 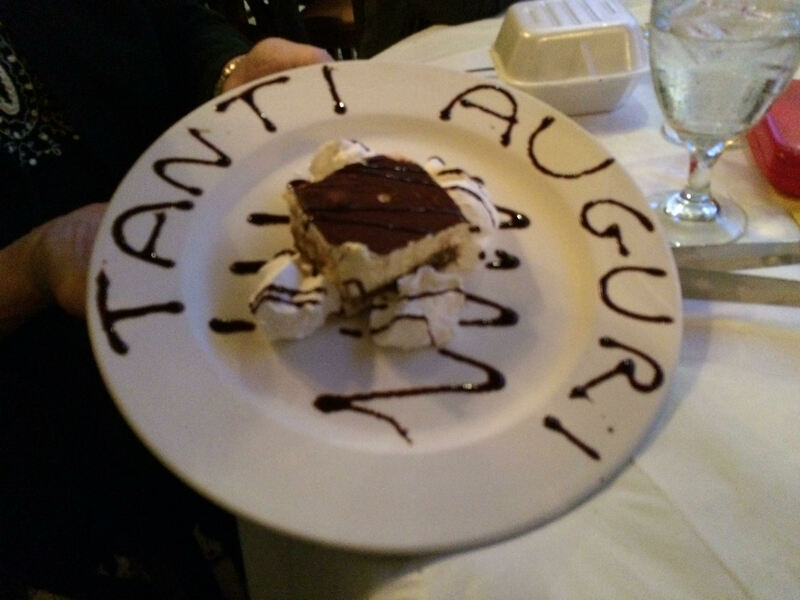 The Italian phrase “tanti auguri” was written on the plate in chocolate syrup. English translation: best wishes. Very delicious best wishes, I might add. By midweek, we had checked off several restaurants on our gourmet bucket list. So far, so good. 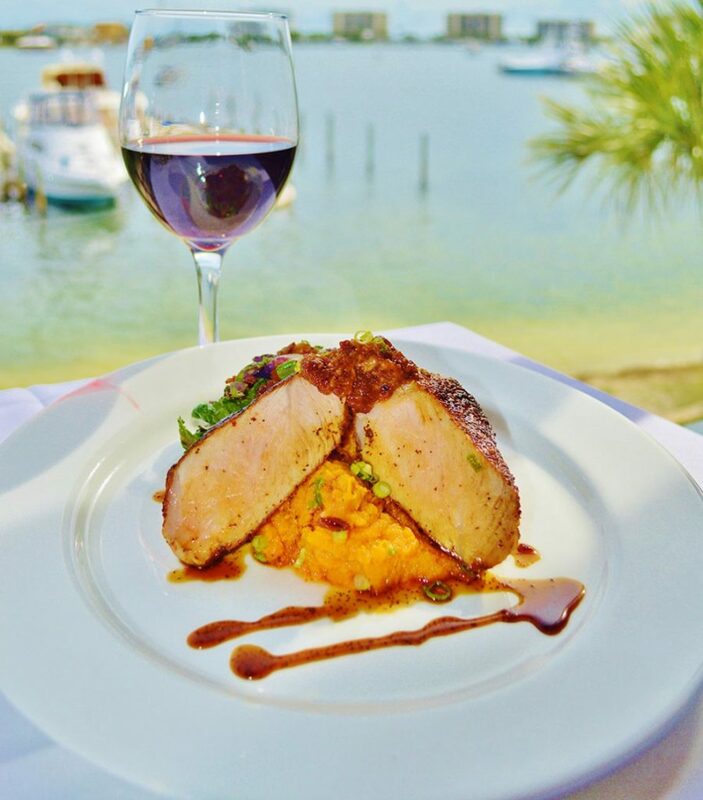 Tomorrow evening, we will dine at the Marina Cafe on the water. I’m looking forward to my favorite menu item, a grilled Cheshire Farms pork ribeye chop with sweet tea glaze and vidalia onion bacon jam, sweet potatoes, and sautéed spinach. The first time I tasted it, I couldn’t believe it was actually a pork chop. It was juicy and tender and had the most amazing flavor. Yummy! 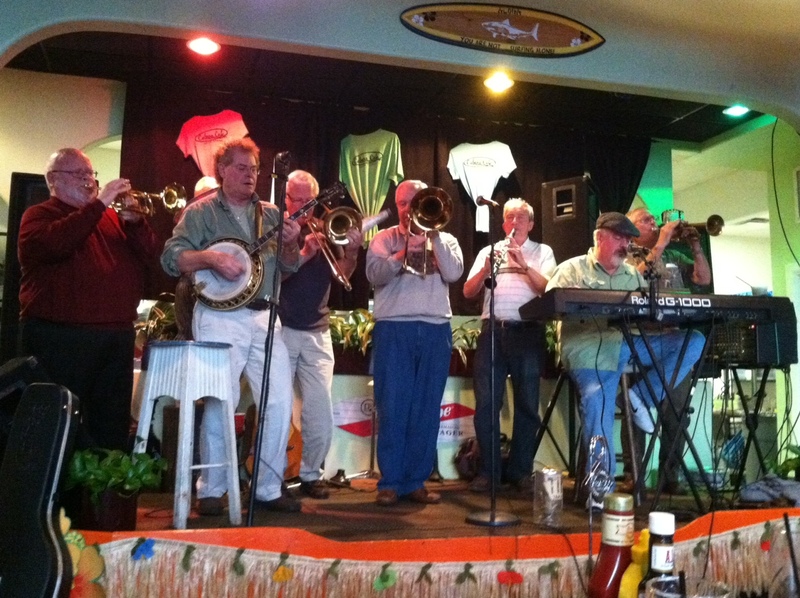 On Friday, we’ll join a group of friends at the Cabana Cafe for dinner and live music. MG loves their fried dill pickle appetizer, and I am partial to their sweet potato fries dusted with brown sugar. A duo called Banjorama plays pop, oldies, folk, country, jazz, and patriotic music. After a few selections, they invite “snowbirds” from the audience who are retired musicians–some from symphony orchestras in their home cities–to join them onstage and they jam the night away. Great fun. 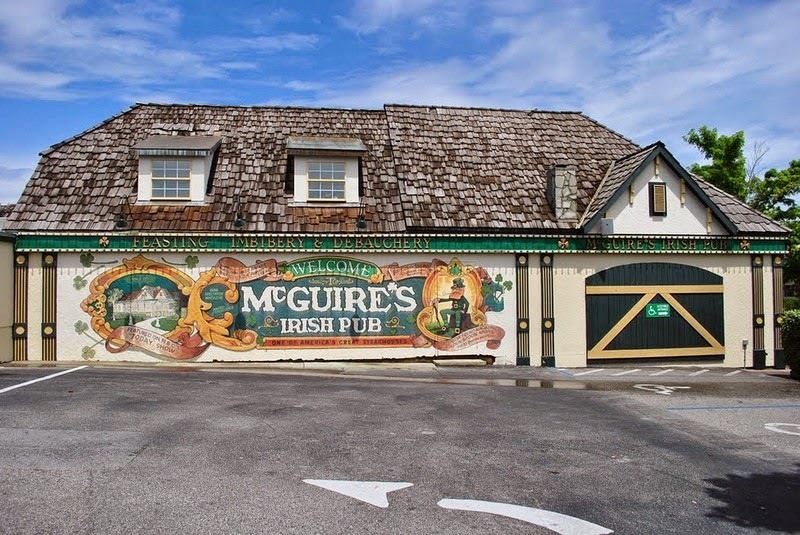 When Saturday rolls around it will find us at McGuire’s Irish Pub. 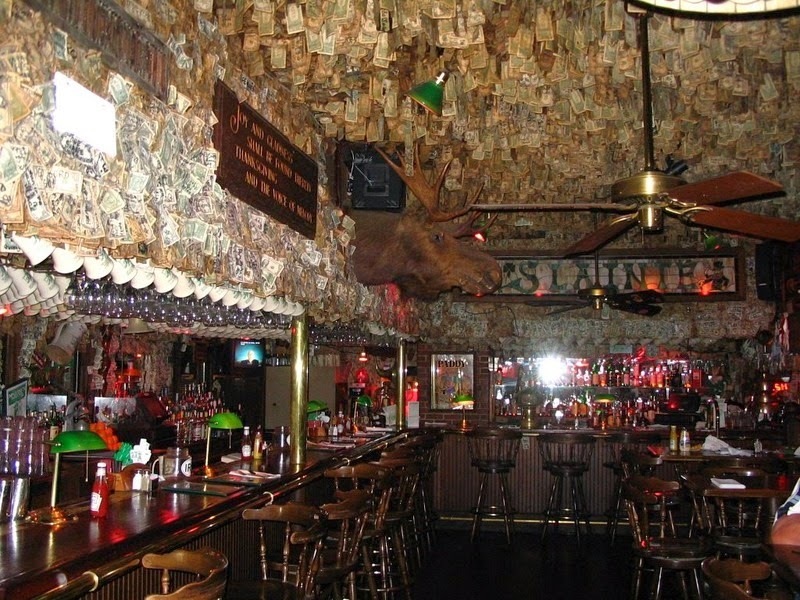 The ceiling and walls of the pub are covered with dollar bills signed by patrons and stapled on–conservatively worth a million or more. We haven’t ever had a bad meal there. 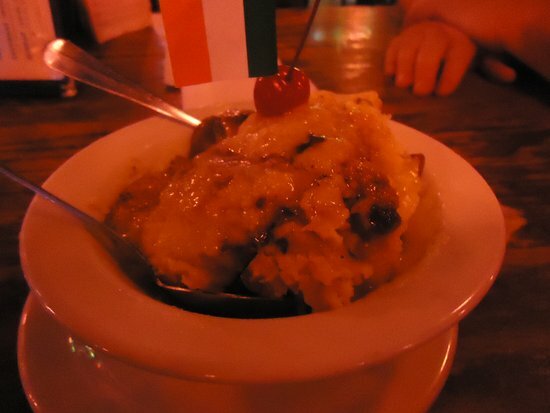 My favorite item on the menu is a dessert, bread pudding with Bushmills Irish Whiskey Sauce (Homemade Daily from an Old Irish Recipe with a very strong Irish Whiskey sauce). Best bread pudding I ever had, and I am not a fan of bread pudding. That should tell you something. Just writing about all this marvelous food has added at least two inches to my hips and waistline. If I’m not careful, the clothes I packed will no longer fit and I’ll have to shop for a new wardrobe. And you know from a previous post just how much I hate to shop. I just got off the scale, Lana. It is screaming, “Too many dinners at fabulous Florida restaurants!” I need to go on a diet. Problem is, we’re scheduled to go out to dinner tonight. It’s our turn to suggest the restaurant. Hmm, now where shall we go? Sharkey’s? Robbie’s Reef? Snook Haven? I kiss my will power goodbye when we cross the Florida border. That’s why I leave our scale at home. You guys!! We’re becoming snowbirds NEXT winter, but I can feel my waistline expanding just reading about all this. Guess I better get my walking shoes THIS YEAR so I’m better prepared for the gluttony that awaits! Taking copious notes here of all the fabulous eateries in our future! Expect to leave your self-restraint at home when you head down to Florida. You will trip over temptation everywhere, especially in restaurants. Where in Florida is this? We’re going! Destin, on the Emerald Coast of Florida’s panhandle. Miramar Beach is lovely too, and is right beside Destin.